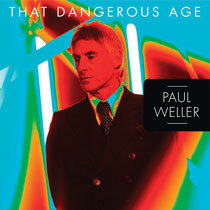 ‘That Dangerous Age’, the first single to be taken from Paul’s highly anticipated new album ‘Sonik Kicks’ (out March 19), is released on March 11th and will be available on CD Digipack, two 7” singles and a download EP. The track could well be destined to be a classic Paul Weller single, a song that details with precise wit the agonies of the frustrated middle-aged wage slave. “There was an inference that I was going through a mid-life crises,” Paul says. “Which I found really amusing: the clichéd notion of it. And that was the impetus for (the song) even though it isn’t really about that. It’s a bit tongue in cheek, too. I guess it’s also about how society views people of a certain age. For me, does it really matter what age you are? It’s what up there in your soul that matters”.